Two people were hit by cars crossing the road near Holy Heart of Mary High School in the last four months. The City of St. John's is considering putting raised crosswalks in front of Holy Heart of Mary High School. The work would be part of changes the city says are coming to Bonaventure Avenue this spring, in an effort to make the area safer for pedestrians. A raised crosswalk is similar to a speedbump, and would elevate people crossing the road, hopefully making them more visible to drivers. 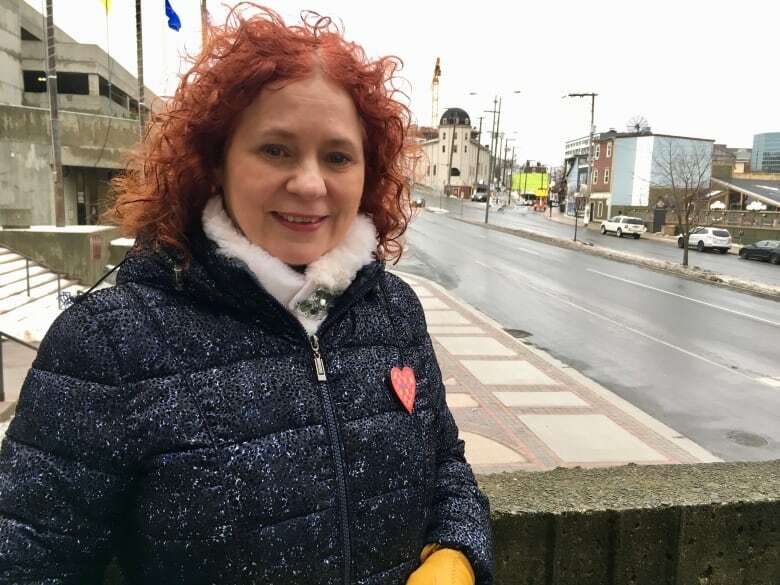 "They do slow down traffic of course, when you're on them, because when you become familiar with the area, you know there's a raised crosswalk," said transportation committee chair Debbie Hanlon. In the last four months, two people have been hit by cars while crossing the road near the school, and Hanlon calls the crosswalk "a particularly dangerous one." In November, 15-year-old Katherine Taylor-Hood — after looking both ways — was crossing to get to class when she was struck in the middle of the crosswalk by a driver travelling up the hill near the school toward Merrymeeting Road. The driver did stop immediately and called 911, but Taylor-Hood was left bruised and using crutches. Another pedestrian was hit in the same spot last month. The city already has a raised crosswalk on Old Topsail Road, and had a temporary one on Monkstown Road in the summer of 2018. While this stretch of Bonaventure Avenue is notorious for people driving too fast, Hanlon says some are likely distracted as well. "We got to raise awareness of safe driving and safe walking in our city. It's getting to the point where it's getting very dangerous to be out there," she said. "I walk on the streets as well, people don't stop for me at crosswalks, unless I put my hand out." Right now, the city's transportation department is creating drawings of the changes, and those will be reviewed at a meeting at the beginning of March. Hanlon says at that point, they'll talk about other options as well, like diverting traffic, or bringing in speed bumps. She says the city can't do that every time, and drivers need to be more alert and drive more safely. "You can't have speed bumps outside of every crosswalk or else there'd just be speed bumps everywhere," Hanlon said. "So there is a plan to do the raised crosswalk, but I also would like to say that we're also meeting with some ward representatives who have more concerns. So there may be more coming out of this."